Cuttwood Sugar Drizzle – simple yet majestic. A perfect combination of a cinnamon bakery and sweet milky cream – ideal for an everyday vape. As usual, it is hand crafted by Cuttwood Vapors in US, California, so you know this is a top quality product. If your taste buds are craving for some sweet and soft breakfast cereal notes then you have found just the right one. Cuttwood Sugar Drizzle – simple yet majestic. A perfect combination of a cinnamon bakery and sweet milky cream – ideal for an everyday vape. As usual, it is handcrafted by Cuttwood Vapors in US, California, so you know this is a top quality product. If your taste buds are craving for some sweet and soft breakfast cereal notes then you have found just the right one. First of all, the flavors fit each other really well. The sweetness of cinnamon cookies meeting light and soft milky cream – nothing could be better. You open up the bottle and you are overtaken by this amazing scent – as if a bowl of your favorite cereal was right in front of you. The moment you inhale the vapor, you can immediately taste what you just smelled. The flavors suit each other ridiculously well, neither being brighter than the other. Also, when you exhale, the cinnamon begins to fade and your taste buds are enjoying the light and smooth flavor of milky cream. 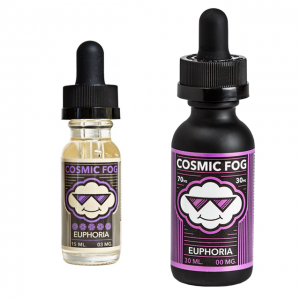 These flavors are so great that each vape just keeps reeling you in for more. It’s as if you cannot stop vaping the Cuttwood Sugar Drizzle. Moreover, the VG to PG ratio in Cuttwood Sugar Drizzle is 65% to 35%. 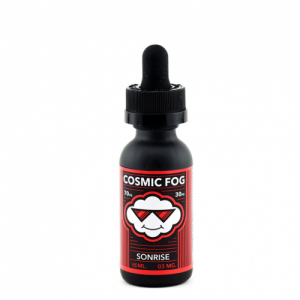 As a result, the vape juice produces a great amount of vapor while maintaining the rich flavors. In addition, the vapor is thick, smooth and does not have a hard throat hit. This means you can vape it all day without hurting your throat. Furthermore, you can choose from different available nicotine concentrations from nicotine-less up to 12mg. It is certain that anyone will find their fit with this e-liquid. 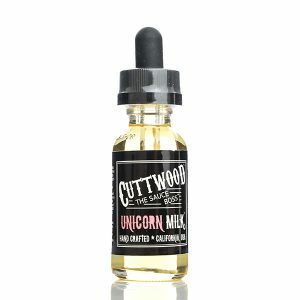 Overall, Cuttwood Sugar Drizzle is a simple but also amazing e-liquid. It produces a lot of vapor and the flavors are rich and savory.